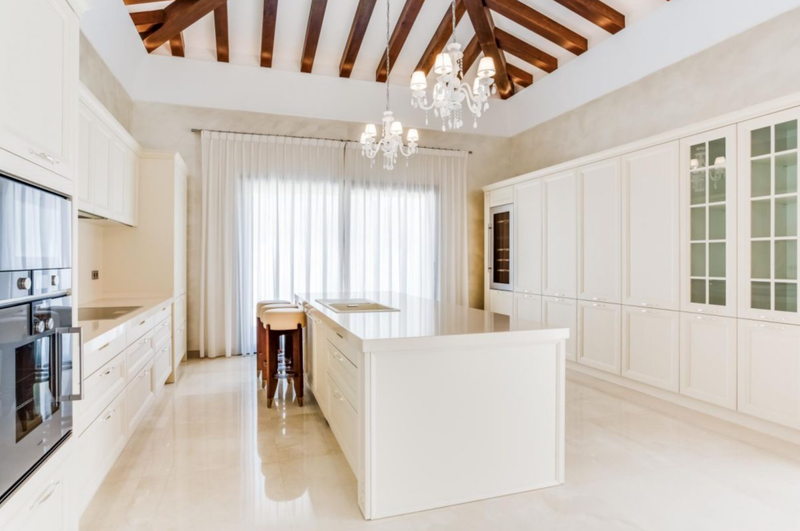 A prime example of modern-day luxury living on the Costa del Sol, this exquisite five bedroom villa oozes quality and style with the added benefit of being surrounded by the natural beauty Nueva Andalucia has to offer. 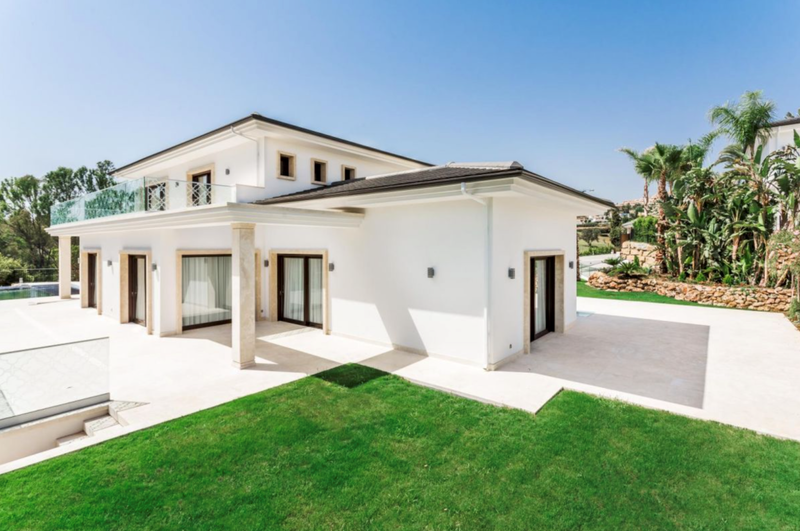 Situated in the prestigious Golf Valley it enjoys proximity to a range of renowned golf courses and is just a few minutes drive to the luxury harbour of Puerto Banus and beautiful beaches. 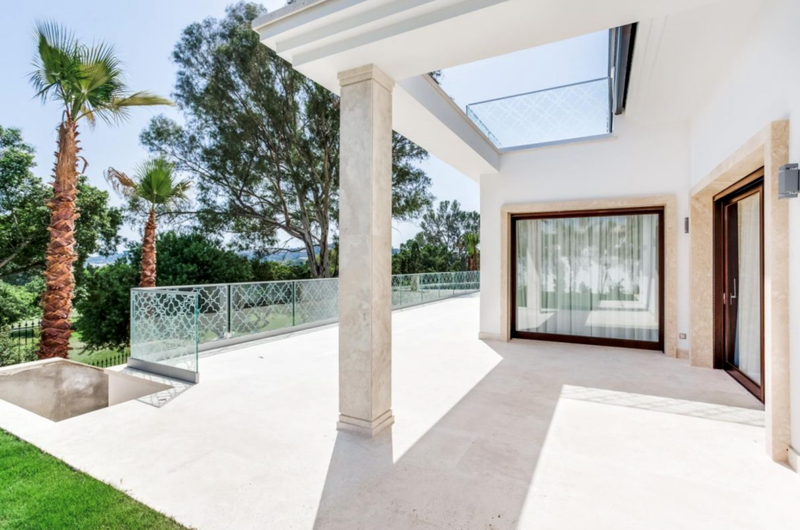 Marbella and San Pedro are also easily accessible by car making it a highly desirable location. 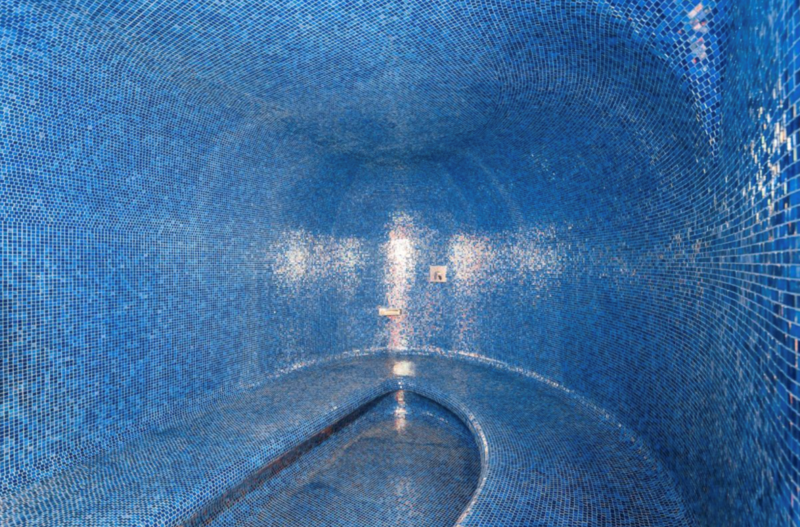 The refined taste of the current owner shines through the design of the villa from the beautiful Italian mosaic features to the incorporation of luxury wood and fine textiles; these intricacies emphasize the exclusivity and sophistication of the property. 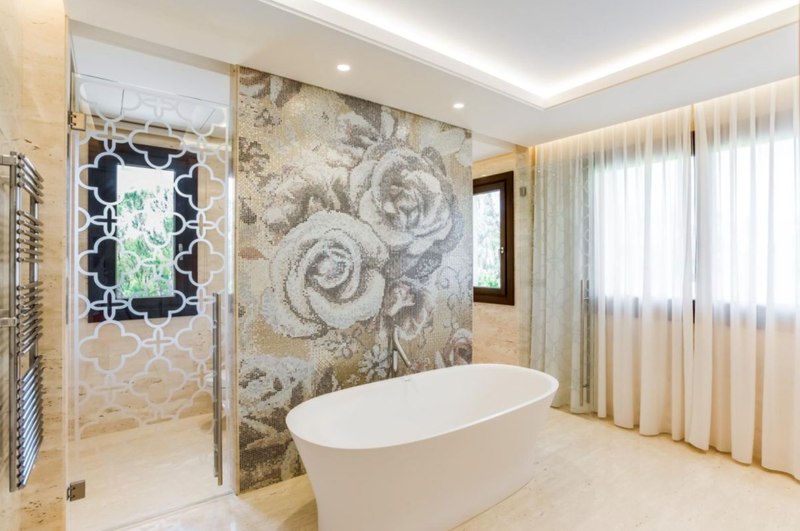 Finished to the highest of standards, the villa is equipped with top quality home appliances: from the kitchen to the bathrooms every last detail has been meticulously thought out in line with the latest design and technological trends while also ensuring everything is in place for a comfortable stay. 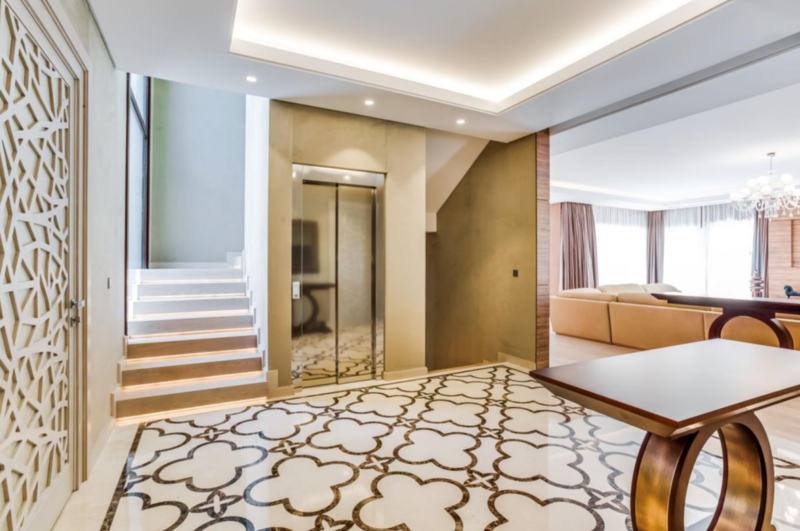 The villa is built over three floors and even has a lift for easy access. 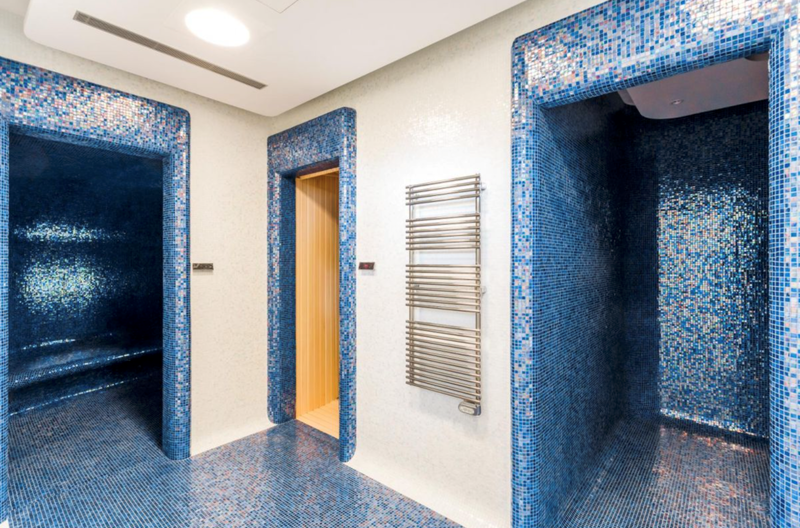 The ground floor offers a garage (180m2), a spa and sauna area with Turkish bath, a fitness room, two bedrooms and bathrooms, a laundry area and storage room. 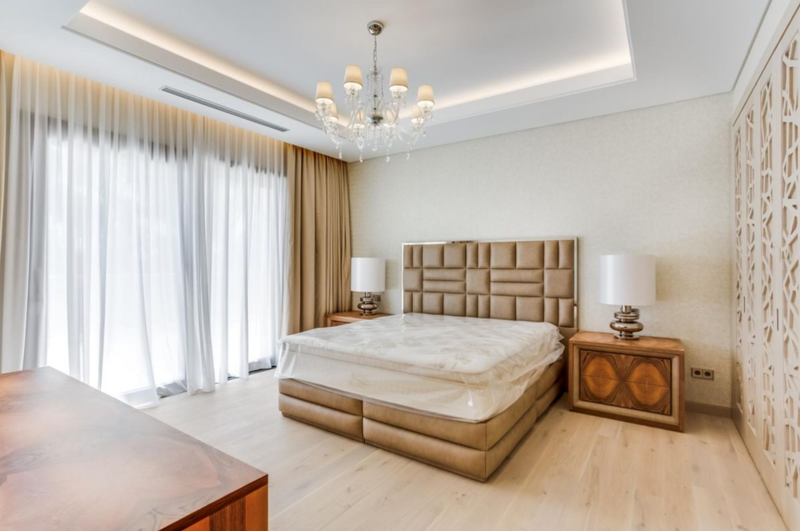 The first floor, which is 230m2 in size, comprises of a hallway with fitted wardrobes, a spacious living room, a guest bedroom and bathroom, guest toilet and a fully fitted kitchen with dining area and golf views. 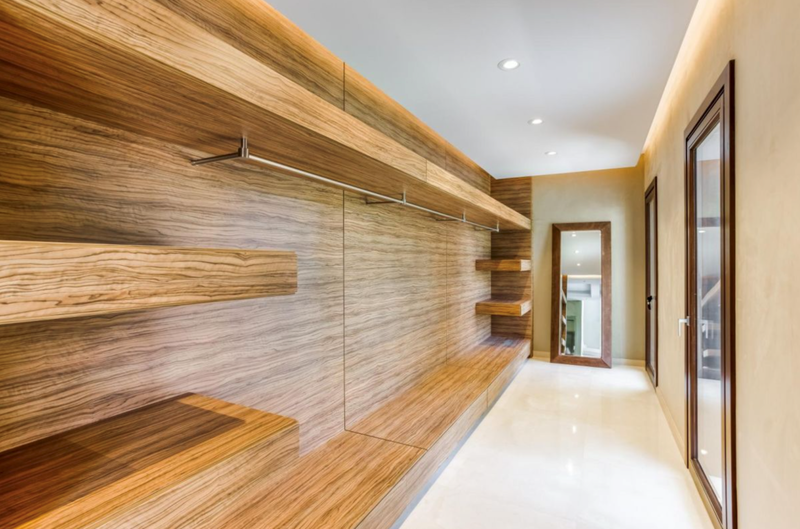 On the second floor you will find two bedrooms (master and another guest room) and two bathrooms. The villa boasts multiple terraces, both inside and out, as well as a garden where the stunning infinity pool blends into the horizon, with sea views that will simply take your breath away. 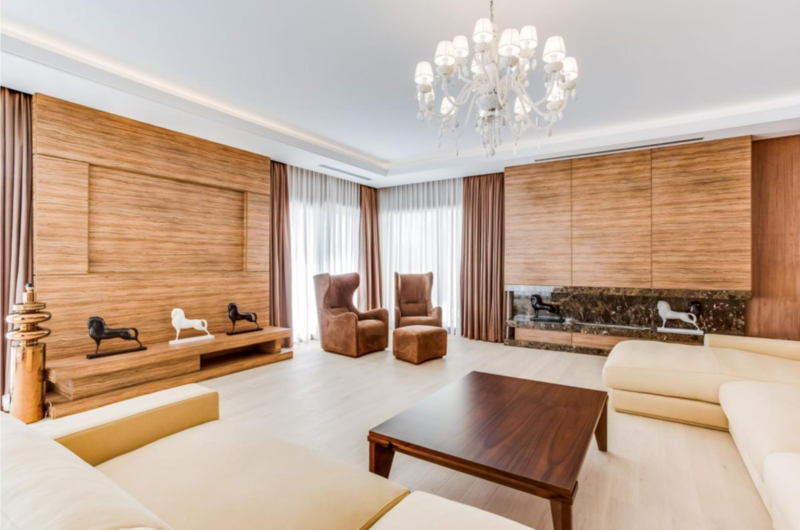 Styled with exclusive Italian furniture, this is a villa of delectable taste and design throughout; it must be seen to fully appreciate its authentic beauty.